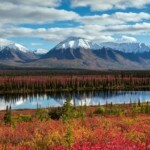 DENALI: Everything about Denali National Park is big: the scenery, the mountains, the incredible beauty and the animals. 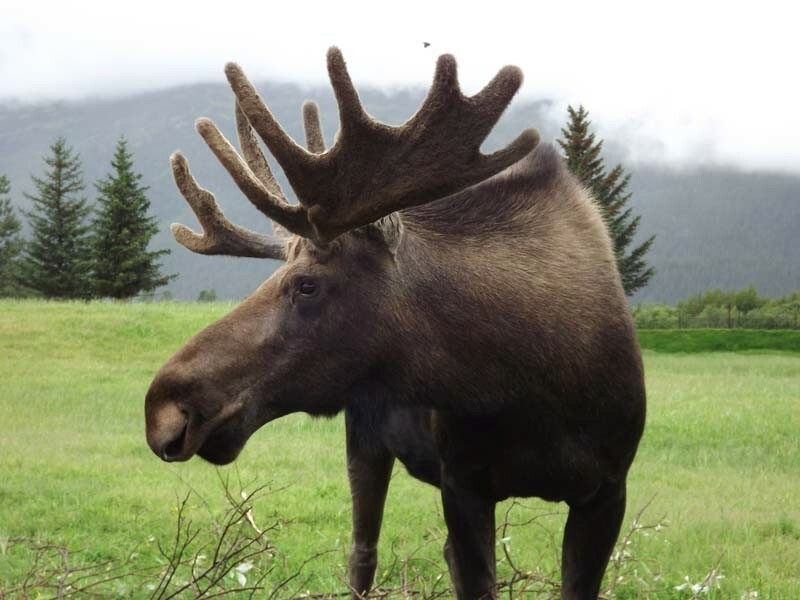 Early this morning, you will embark on a Denali Park Shuttle Tour, an excellent way to spot the wildlife for which Alaska is so famous: moose, bear, wolves, caribou, dall sheep. The bus stops every 1 hr 10 min. 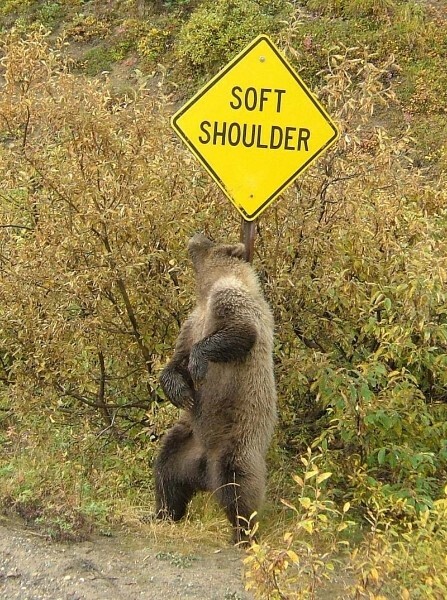 for restrooms and whenever wildlife is sighted as you travel. Opened in June 2008 the completely reconstructed Eielson Visitor Center was built as sustainable construction and features informative interpretive exhibits. This is the turnaround point, allowing 30 minutes to explore the visitor center or the surrounding area with a short hike. This shuttle time is 8 hours roundtrip, including all stops. AAU arranges for and includes boxed lunch and beverage for the trip. So bring your camera and binoculars. 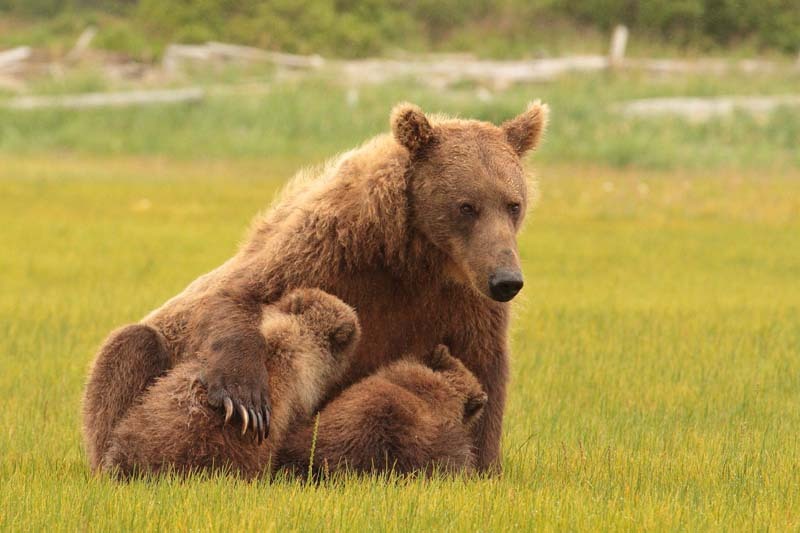 Mount McKinley National Park was established in 1917 to protect its large mammals, not because of majestic Mt. McKinley. 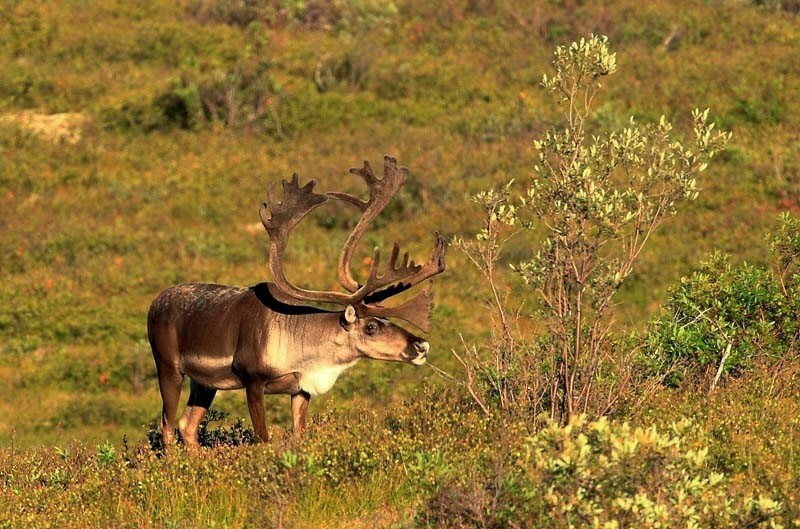 In 1980, the boundary was expanded to include both the Denali caribou herds wintering and calving ground and the entire Mt. McKinley massif. This more than tripled the size of the park, and was renamed Denali National Park and Preserve. It was also designated an International Biosphere Reserve significant for the potential for sub-arctic ecosystem research. Denali is an Athabaskan word meaning The High One. The mountain is officially named Mt. McKinley but is also referred to as Denali. Mt. 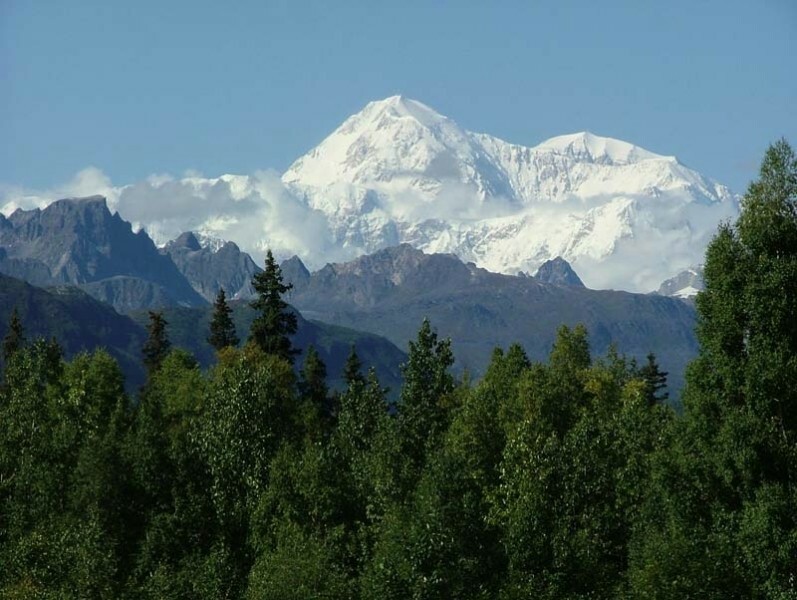 McKinley is the highest peak in North America at 20,320 feet. It creates its own weather system and is often covered in clouds. Mt. 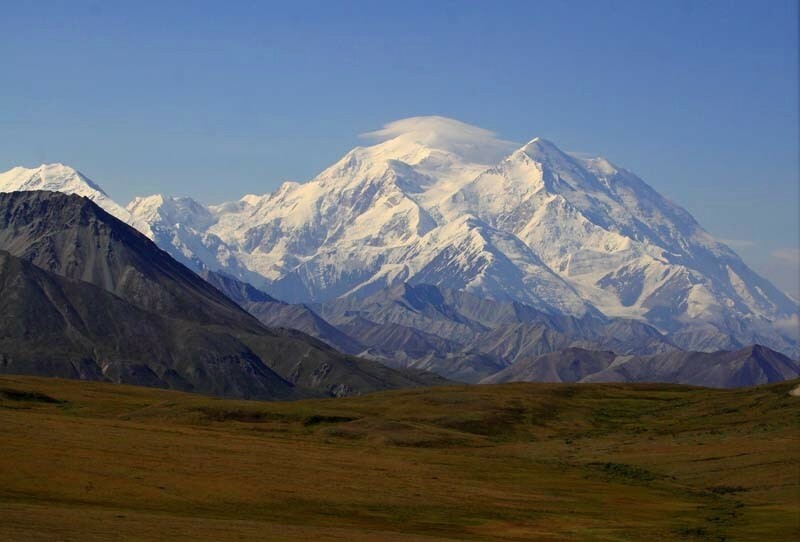 McKinley is only visible about 1/3 of the time, so visitors to the park only have about a 30% chance of viewing Mt. McKinley. 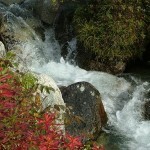 Denali is one of the greatest wildlife viewing areas in the world. 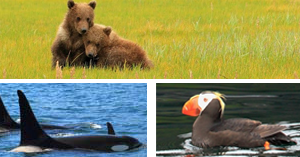 Visitors have a chance of seeing grizzly bears, caribou, moose, Dall sheep, foxes, and wolves. Many smaller animals also inhabit the park such as arctic ground squirrels, hoary marmots, pikas, snowshoe hares, and beavers. For those interested in bird watching, there are a variety of birds that migrate to the park for the summer. The list includes arctic tern, American golden plover, long tailed jaeger, the surfbird, arctic warbler, the wheatear, willow ptarmigan, golden eagles, and ravens. 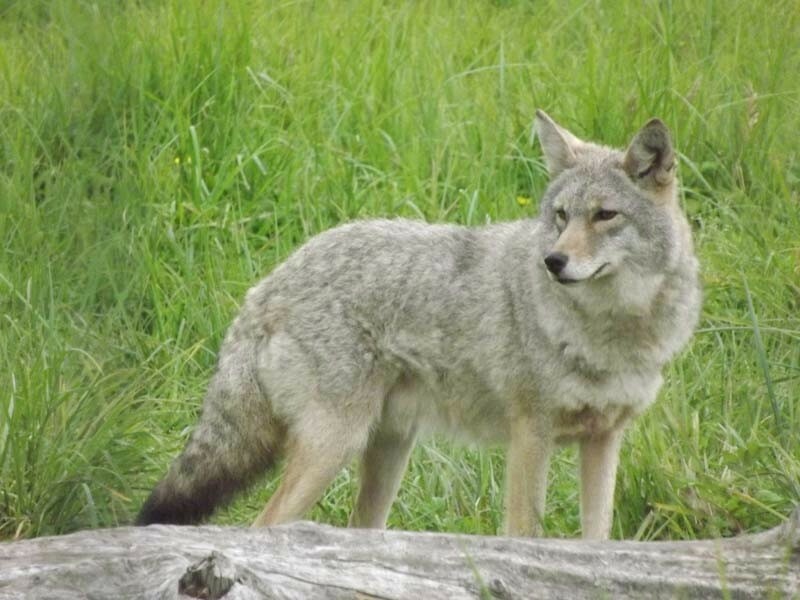 Approximately 150 species live in and around the Denali area during the summer months. This evening, dinner is at a local hot spot featuring the bus from the movie from “Within the Wild”. Overnight again in the Denali area.